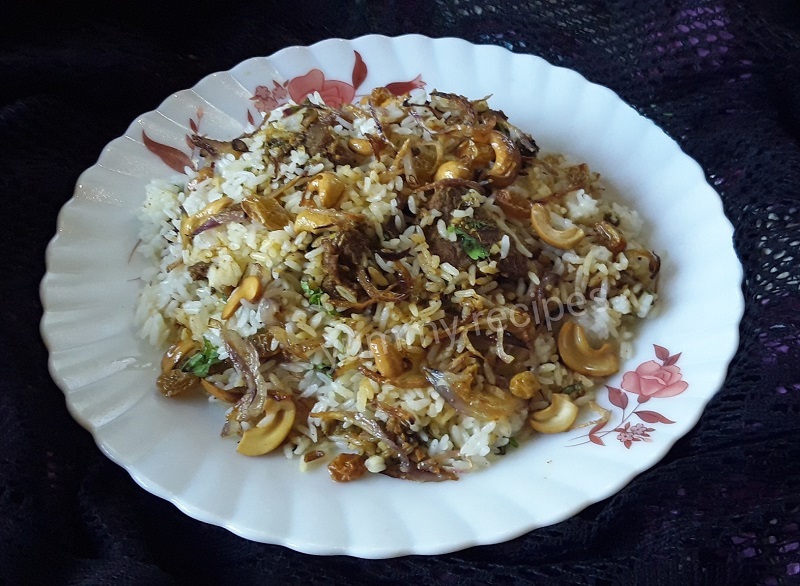 Biriyani is a flavorful recipe with the combination of rice with meat, fish and vegetables. 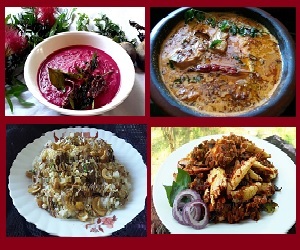 There are lot of biriyani that have different spices and different tastes. 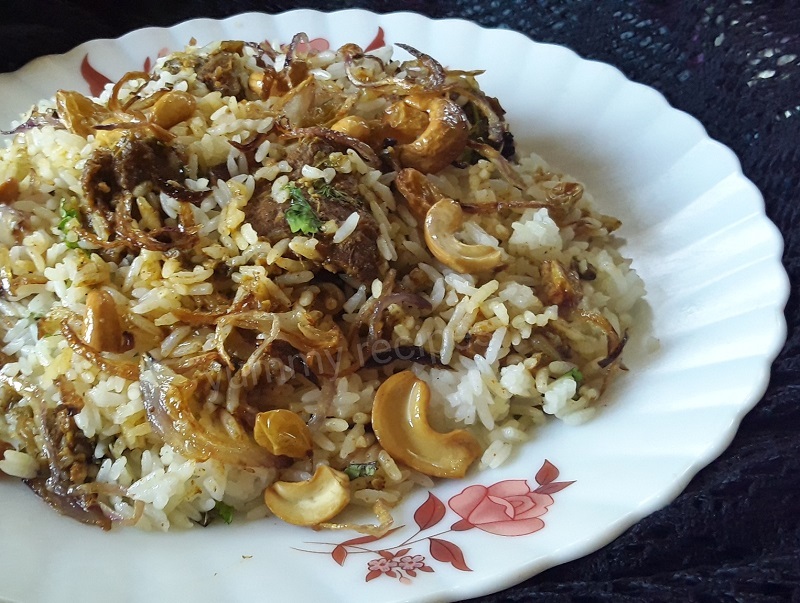 Here I am showing you a very popular Kerala Beef Biryani known as Malabar beef biryani. 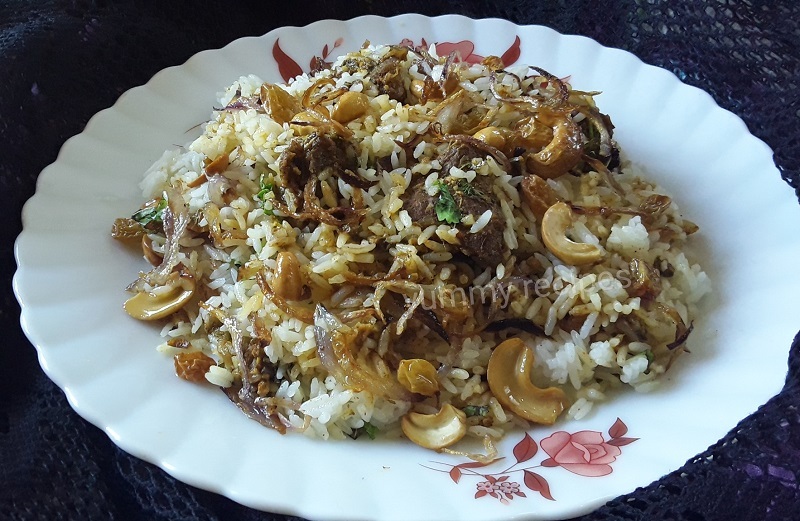 Malabar style beef biriyani have an amazing taste; this is our Sunday special food. You can serve this with pickle or salad etc. Let’s see the recipe of beef biryani recipe with detailed images. I hope all are enjoy recipes with yummy recipe, please give your feed back in comment box. 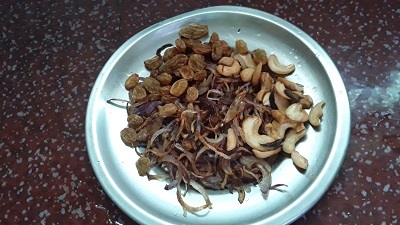 Cashew, raisins, onions for frying. Fry – cashew, raisins and onions till brown in color and keep it aside. 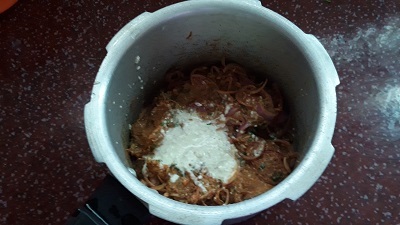 Marinate beef with onion, ginger garlic paste, green chilli, coriander leaves, mint leaves, turmeric powder, red chili powder, pepper powder, biriyani masala, fennel seeds, curd and salt. Keep it aside for 30 minutes. 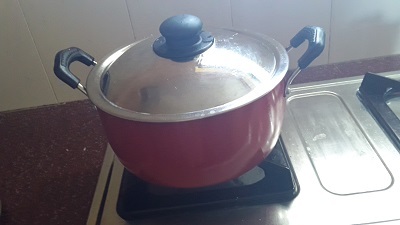 Put in a pressure cooker and add cashew cuscus paste. Cook for 6 whistles in high flame. 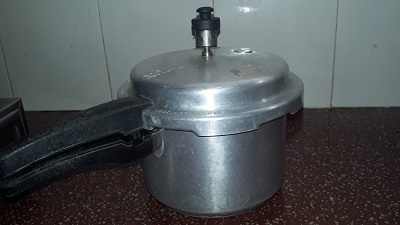 After the pressure settles, open the lid and remove in to another pan. Cook until the water completely evaporated. Then sprinkle some fried onions and add cooked rice. 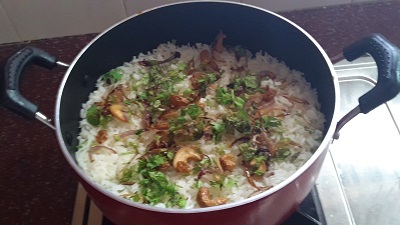 Again sprinkle fried onions, fried cashew, raisins, coriander leaves and mint leaves. Cook again in low flame for about 10 minutes. Remove in to a serving bowl. Serve with pickle, salad or non veg gravy. Enjoy cooking with yummy recipes, thank you.